Just over a year ago, Kate picked up a guitar and found her voice. Music and song provide her an expressive escape from the challenges life presents. She aspires to be a singer/songwriter and enjoys many music genres. 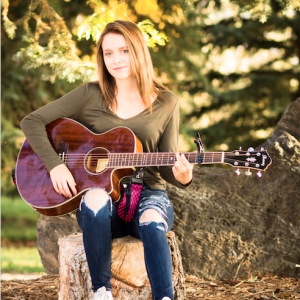 Kate is a student and performer with BethStudio, Inc. in Windsor, Co. She plays for local benefits and is a regular soloist in her school choir. She recently added the Ukulele to her line up. Geneva Hein is a musician who has been singing her whole life. She was a part of multiple choirs including a CMEA attended choir, PSD district honor choir and Colorado all state choir. 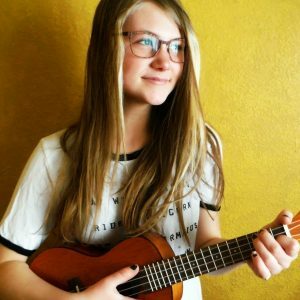 She is new to playing ukulele, and has for the first time, been able to put her original lyrics to music. She has performed solo, and with her band, Paper Girl and Mr. Moon, at several venues around town, and is so happy to be playing music on earth day! 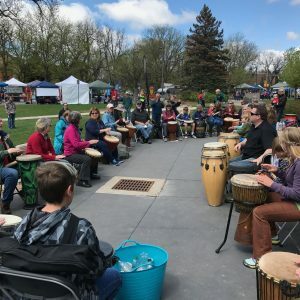 Earth Day Drum Circle – open to the public! Chairs and hand drums provided! Kid friendly drumming with Nancy Bruhn-Curnes and Dalton Vaughan. Come Enjoy and Celebrate Earth Day in a free community Drumming event! 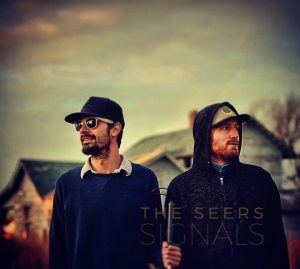 The Seers, an experimental folk-rock duo from Fort Collins, CO, have transformed their shared passion for great songs into a walking, talking, modern-day jukebox of musical versatility. With a “stunning repertoire” of over 700 covers and 100 originals spanning from alternative rock to Americana country, the Seers deliver sing-along performances that bring people closer together. Singer. Songwriter. 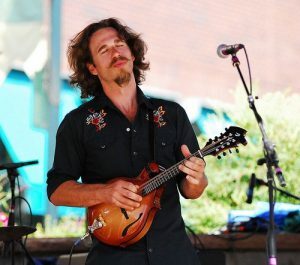 Michael Kirkpatrick is a modern day minstrel residing in Colorado. His voice has been described as “deep, earnest, swoony and powerful”. Original Americana, Rock and Folk combine with Michael’s rich baritone to define his theatrical presentation—imagine a Cat Stevens-Darrell Scott-David Bowie hybrid. Performing over 250 dates a year on guitars, mandolins and voice, Michael brings it all to the stage: sweat, sensuality, tears, and sometimes: blood.